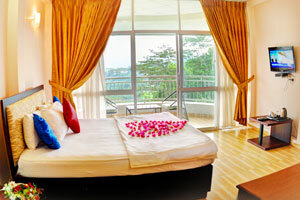 The Kandyan View Holiday Bungalow boasts several rooms with all modern conveniences. Visitors may book individual rooms or the entire bungalow according to their needs. The bungalow also offers facilities for hosting parties and other celebrations. All rooms offer breathtaking views of the surrounding hills, and have attached bathrooms with hot and cold water. Our water supply comes from a pristine mountain stream that cascades down the rolling forests and grasslands of Hantane. At the Kandyan View Holiday Bungalow, visitors can enjoy a truly unique holiday experience. 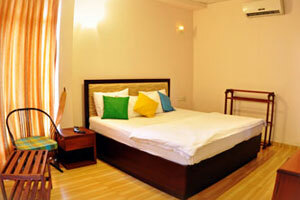 The bungalow has a warm, homely atmosphere and ambiance that is impossible to find in a large hotel. For this reason, it is also ideal for family groups planning to spend a quiet, intimate holiday in the hills.